This place is truly vintage. 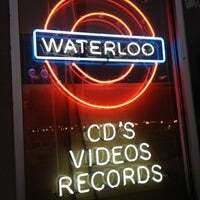 If you have a record player and are looking for records, Waterloo has a great selection of not only older artists, but modern music. It is heaven for hipsters. One of the best record shops that I've been to; be sure to check out the local and new releases near the left entrance and also hit up the listening stations to listen to some new tunes. 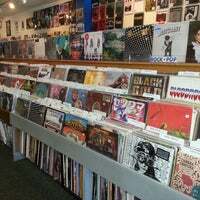 Great selection of new and old vinyl. Prices Range depending on what you're looking for. 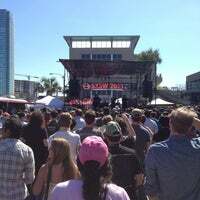 Has received the "Best Record Store" award from the Austin Chronicle since its opening. A 10% discount for "newbies"/ first checkin on regularly priced merch. Sweet deal! 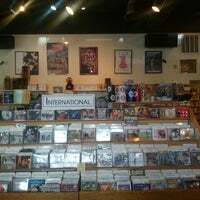 Also a great store to find items to suit any musical taste and an excellent selection of TX music. The used record side of the store is at least as big as the new part, if not bigger, and you can top this off with a great selection of shirts making this our top pick for Austin. 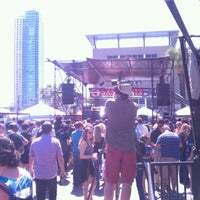 So you just enjoyed your *new favorite* Austin musician and want to take the memory home with you? This is the spot. Austin City Limits DVDs & local artists albums available too. Parking is terrible when it's busy but still the best record store in Austin. Staff is always super helpful and they know their stuff! Obviously they have a great selection of new and used music... But also check out the awesome movie selection. They have more Criterions for sale than anywhere in Austin. 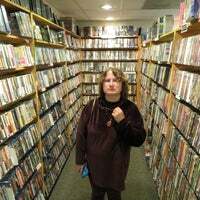 Old-school music and video shop with a huge and largely uncurated selection offering little or no advantage over Amazon. Very cool if you're into vinyl records! It looks like they have a good lineup of bands come in as well. Good music and movies here..they still sell records here as well..one of my favorite spots in Austin...good spot when SXSW is going on..free entertainment.. Impressive music selections and everything "beyond" & I'm not talking about the cashier who knows every record forwards & backwards. 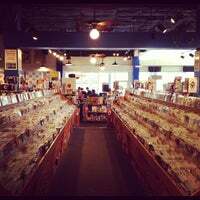 The music store hosts frequent in-store performances of big name and up-and-coming musicians. 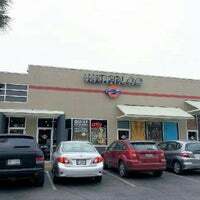 Waterloo Records is a must destination during South by Southwest and Austin City Limits Music Festival. Outstanding record store! Had all of the music I was in dire need of and also gave me a discount for checking in on Foursquare! An Austin institution for independent music, walk over on a Tuesday to pick up some new vinyls and possibly catch a live in-store performance. 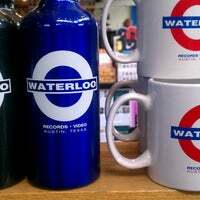 What BookPeople is to print, Waterloo is to vinyl. 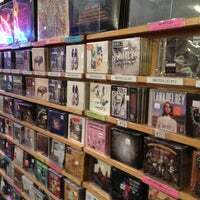 The staff helps you navigate their impressive selection without the snarky “High Fidelity” attitude. Whether you're looking for a Top 40 jam or an EP from some ragamuffins on the outer ring of Pitchfork's radar, they've got you covered. Get a frequent buyer card if you are building your collection and save some $. Love it or hate it, paying a visit to this music mecca is always essential when in town. Top notch staff here. These guys know their stuff so don't hesitate to ask any questions. Hands down this is Austins best record shop. Have so many live performances! Amazing people work there, Russel is a doll! ANYTIME you get over $100 of stuff and pay cash they give you 10% off! Radical. oh, and found a Fu Manchu record there used for $6--GAWD! A great place to take a pedal cab from 4th and Lamar to buy the new Beyoncé album before they close for the night. shop the back wall of the store for the employee picks. They pick some of the best local and regional titles. Waiting for Delbert McClinton to play. One of Chads fave artist. Free Beer!!! The best record store on the planet. Well, at least this planet anyway. 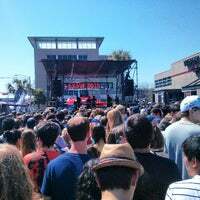 For the live performances on Sxsw don't be misguided if they're not performing outside, they perform inside too! This place is amazing. 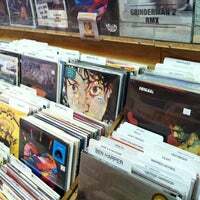 Find uncommon vinyls at fair prices. 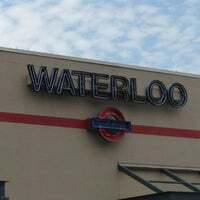 Catch Waterloo's free parking lot shows, then go inside and buy a record or two. You know, keep the music business alive. 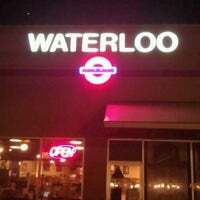 One of my favorite stops in Austin--great selection of music and very helpful staff. Get some tunes on Earth Day, and 5% of your total check goes to support eco-friendly causes. Still one of my favorite places to visit when in Austin! 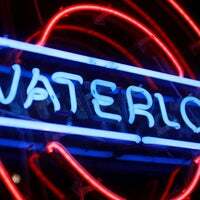 For the guy who brought his baby to see J Mascis at Waterloo - earplugs! Also, while she might like him in another 14 years or so, right now your baby doesn't give a shut about J Macsis. support local businesses! they have quite a selection! 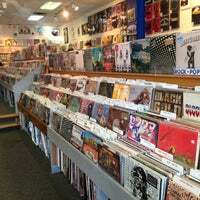 We're an independent record store established in 1982. "Probably the best record store in town. Grab a Go Local card if youre gonna shop often, itll save you some serious dough." "Fantastic selection at good prices. All vinyl, mostly 12" LPs but a large section of 7" singles too. Garage, blues, soul, jazz, country, R&B, punk - all the good stuff." "This place is a hidden gem. While everyone else is packed into Waterloo, you can slip into Antoine's where you will find some rare vinyl. Talk to Forest, he's awesome." "Ausgezeichnetes Warenangebot - leckere Brötchen & Bison Roastbeef"
"Chicken and Waffles, Meatloaf Sandwich (add an egg, bacon and avocado to it) and biscuits/gravy (which is only available on the weekends) are my favorites. 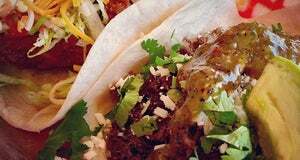 Come hungry." "Bee Cave Crunch ice cream = yum! That plus hula hoops and a photo booth make this scoop shop a *must* while in Austin!"